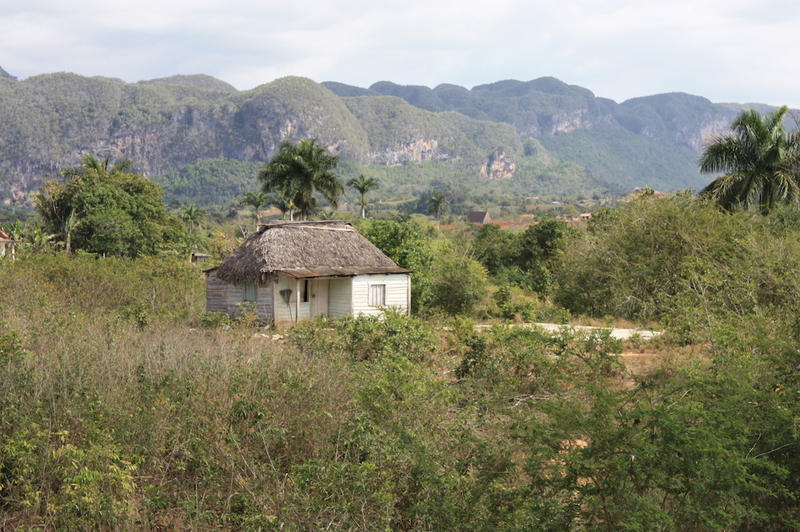 A few hours west of Havana lies the charming town of Viñales, Cuba. 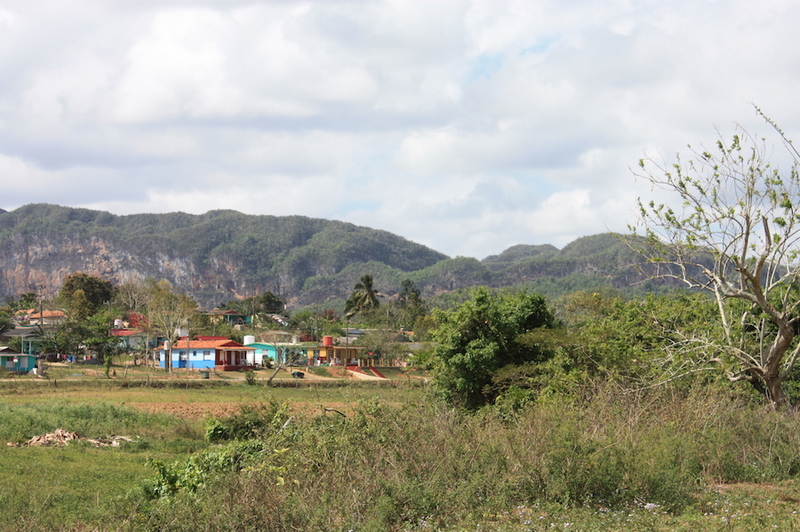 It is tucked perfectly between forest covered cliffs, green tobacco fields, and sprawling valleys. 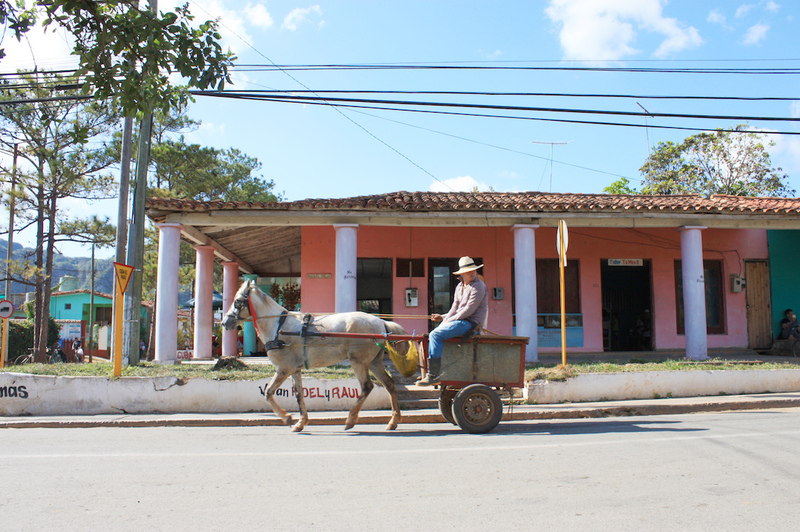 A picturesque town within the Pinar del Rio Provence known for its fine Cuban cigars and friendly locals. The downtown is quaint and easily walkable, the landscape is breathtaking, and a plethora of local attractions will keep you entertained. A calm and relaxing destination that will force you to slow down and stay for a while. 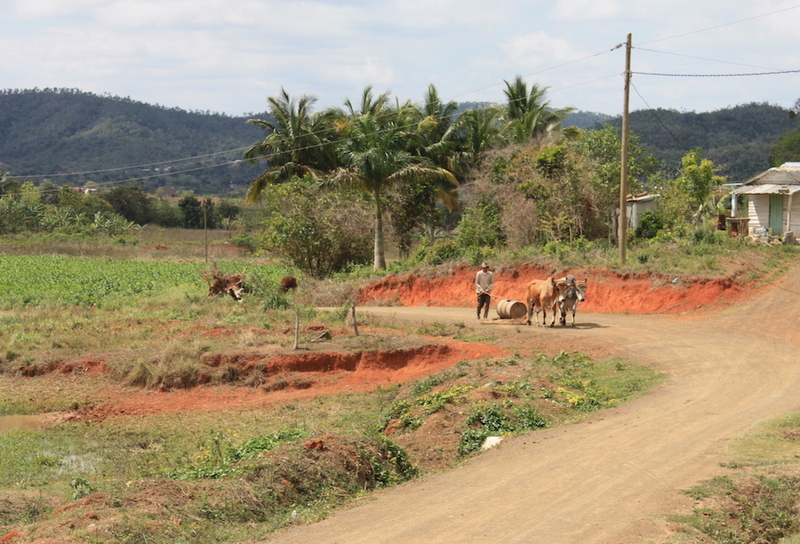 While the city center offers plenty to see, explore the countryside. Wander outside of town and immerse yourself in the city’s intoxicating personality. Few places on earth offer such an eclectic display of local culture. 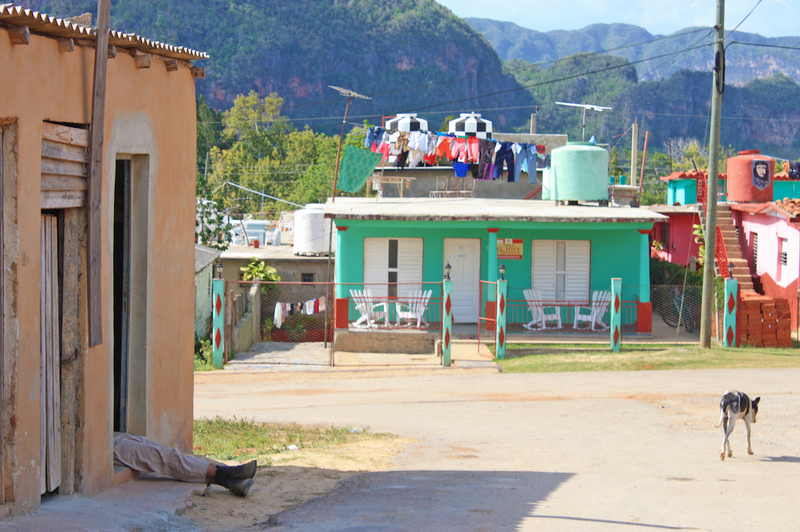 The streets of Viñales are perfect for people watching and picture-worthy happenings. 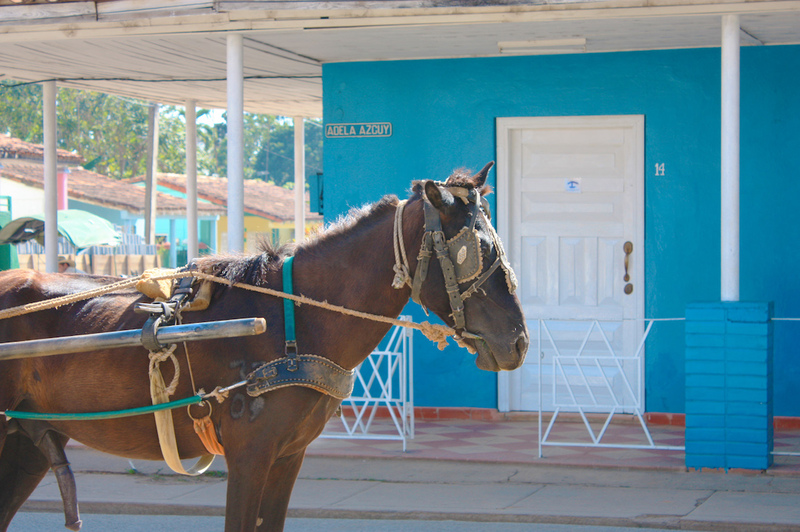 Whether you catch a glimpse of local tobacco farmers, pieced together classic cars, or horse drawn carts, there is always something or someone to watch. Small bars and restaurants line the main streets making it incredibly easy to find a front-row seat to the event. 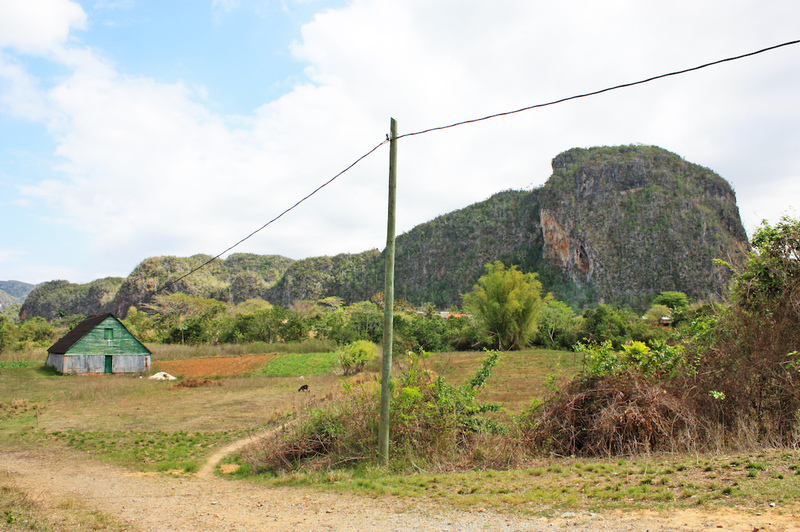 Three things in Viñales will grab your attention: the people, the landscape, and of course, the cars. 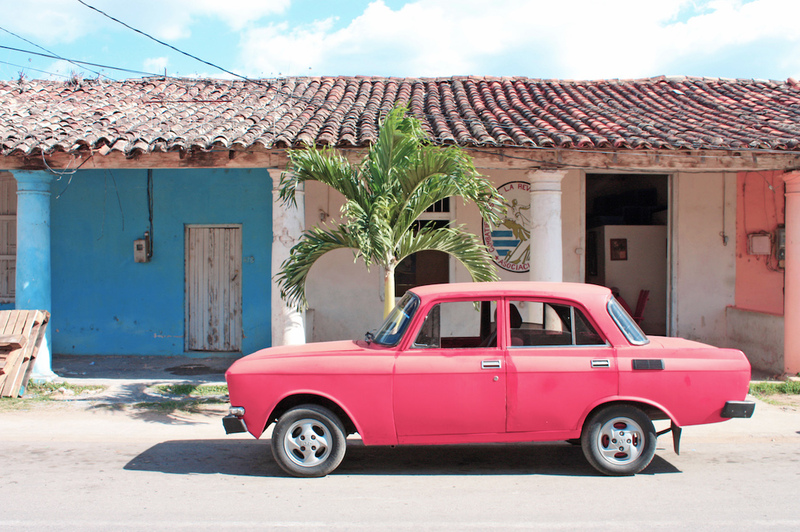 In Havana, you’re jaw drops at the amount of classic cars, the impeccable paint jobs, the line of tour operators ushering you toward rows of perfectly polished convertibles and pink Cadillacs. 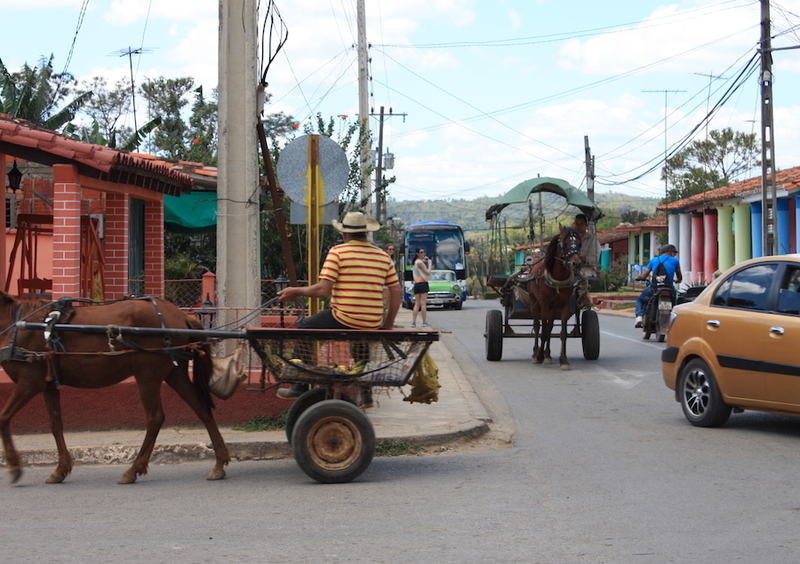 In Viñales it’s a little different. 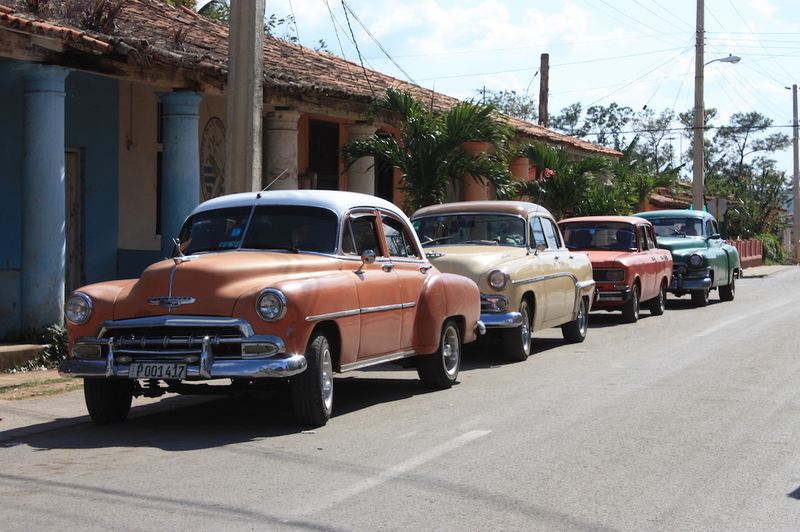 The cars aren’t as pristine, they aren’t polished to attract eager tourists for overpriced rides. Here, they are held together by string, handmade pieces replace out of production parts, cars from different eras are welded together to create ‘Frankenstein’ cars that can’t possibly exist anywhere else. 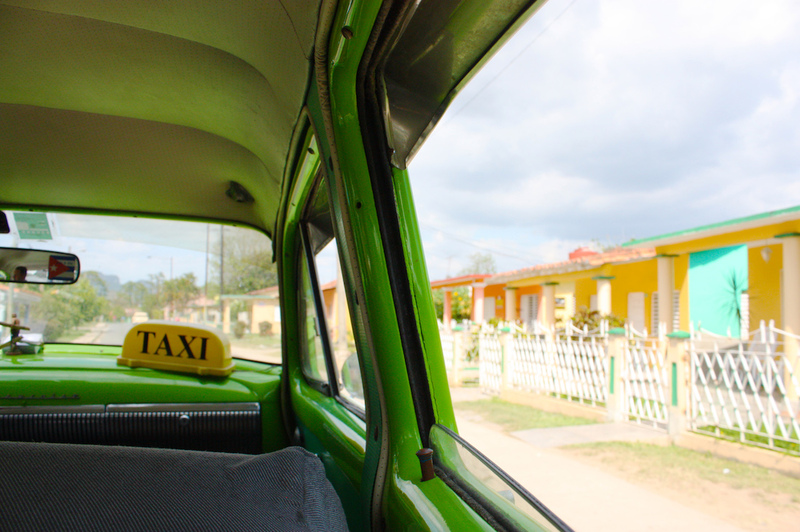 A local hop-on hop-off bus runs regularly through town and pitstops at many local attractions. 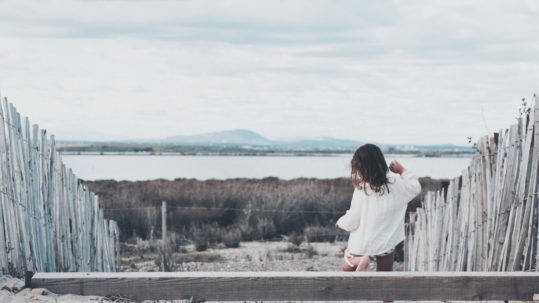 You can hop off at a resort with a refreshing pool, small eateries, landmarks, gardens that offer fantastic hiking, and much more. 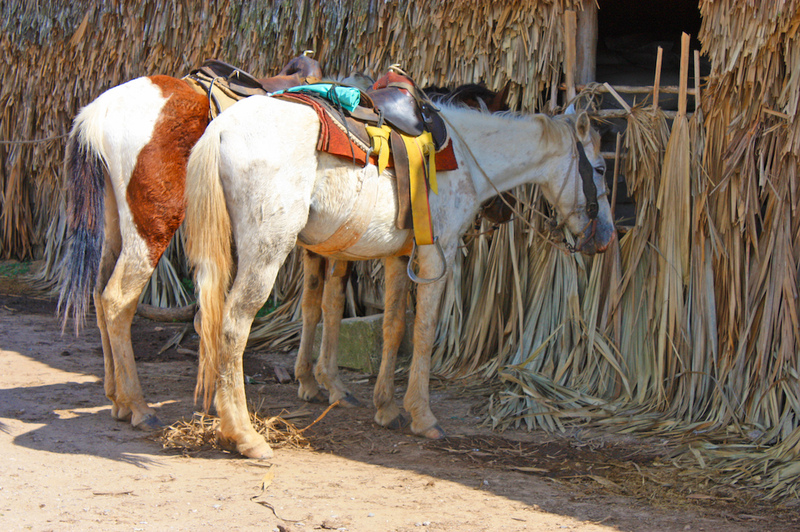 For just a few dollars, you have access to most of Viñales. Take the bus to the end of the route and walk back, making sure to stop at the local cafeterias and overlooks to take in the landscape. 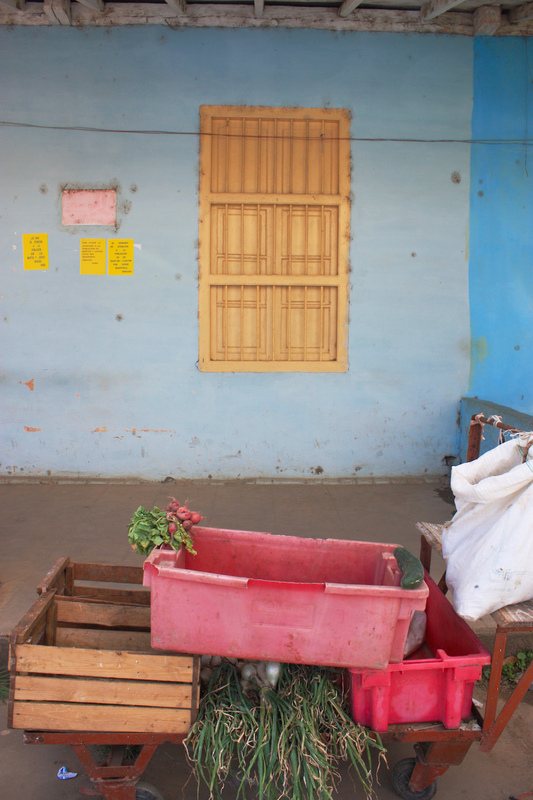 Random locals may try to sell you bananas or ask you for money to buy new clothes. 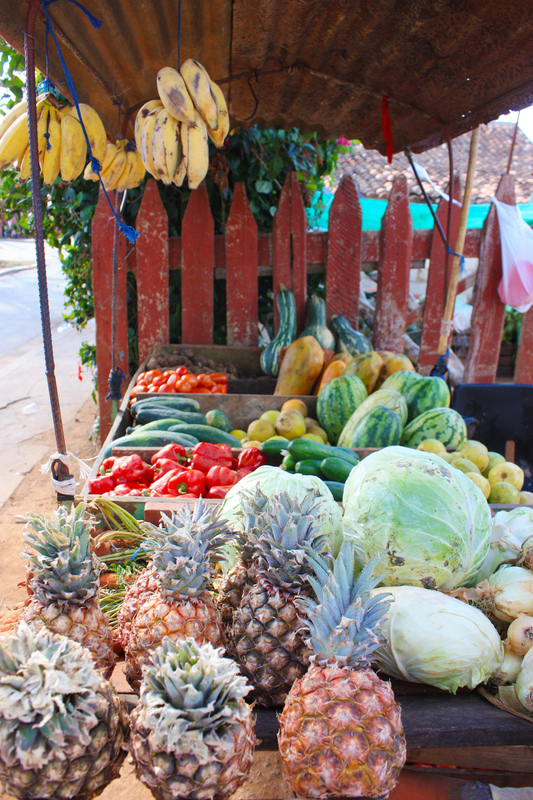 Support the local community and buy fruit, cigars, and coffee directly from the farmers. Most locals are eager to invite you in to their home for a visit. Brush up on your Spanish. 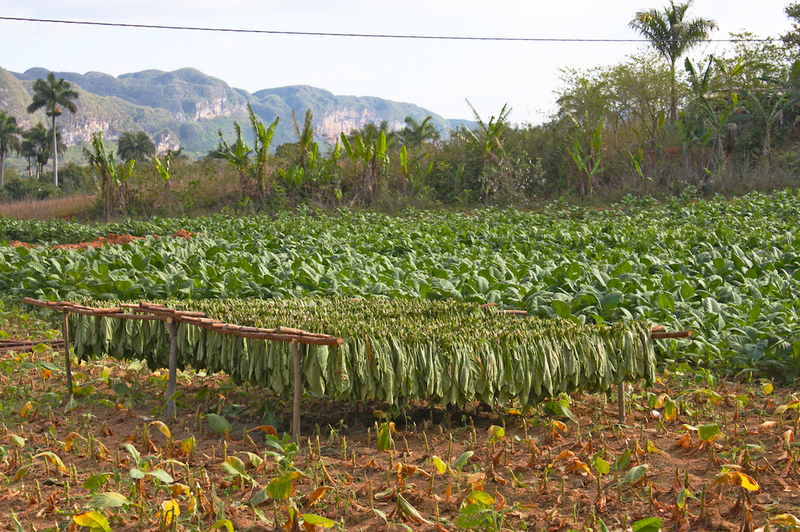 Tobacco farming is the backbone of Viñales. 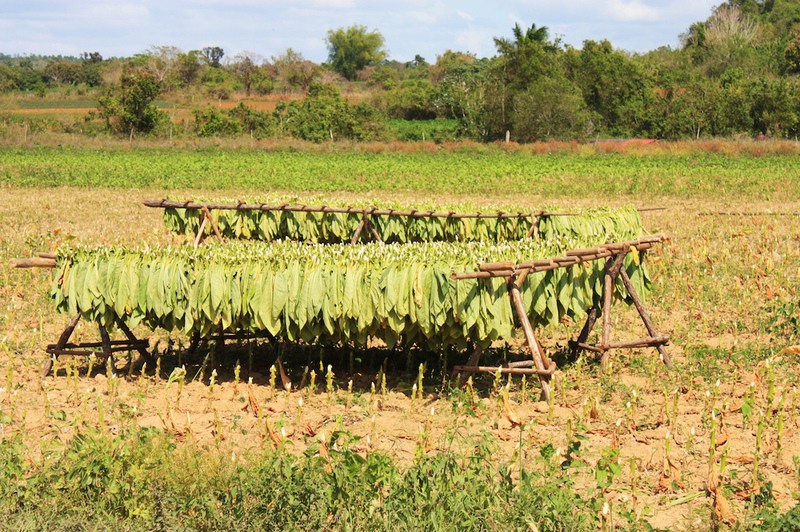 Large crops of tobacco leaves fill the valleys, while rudimentary drying and processing contraptions are set up along the perimeters. 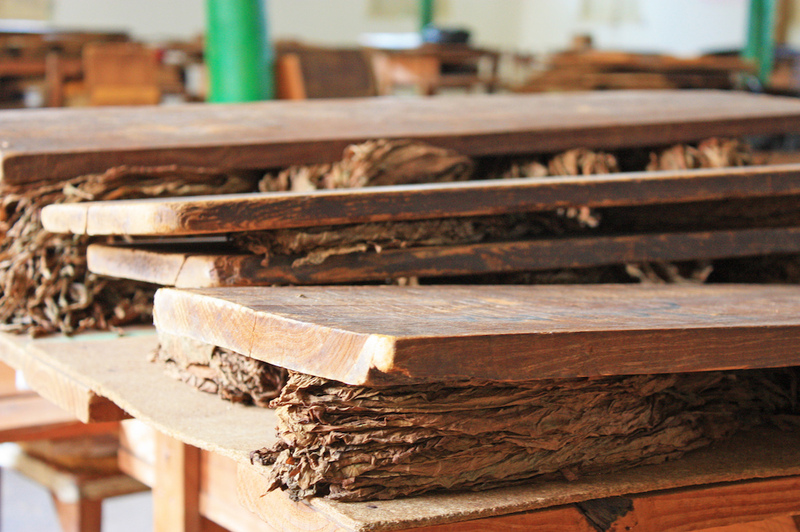 The Cuban government confiscates 90% of all tobacco after it has been harvested. 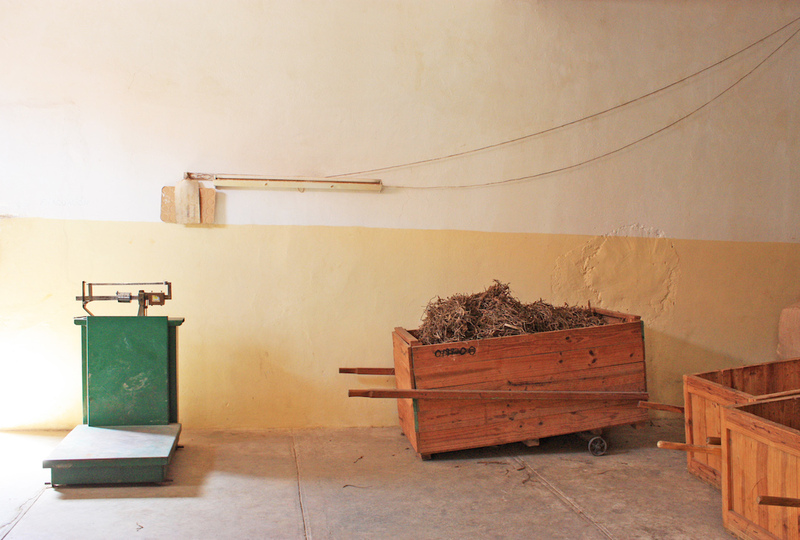 This tobacco is sent to large facilities where rows of women hand make each cigar. 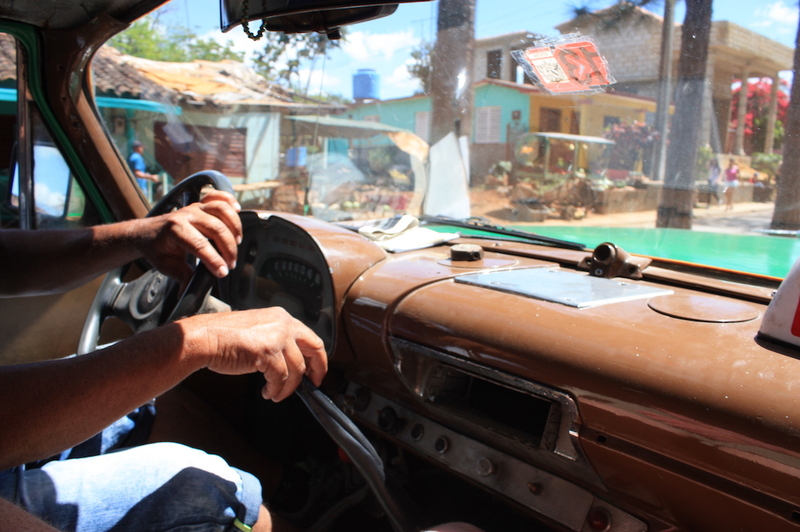 These are the Cuban cigars you buy at local shops and in touristy areas. 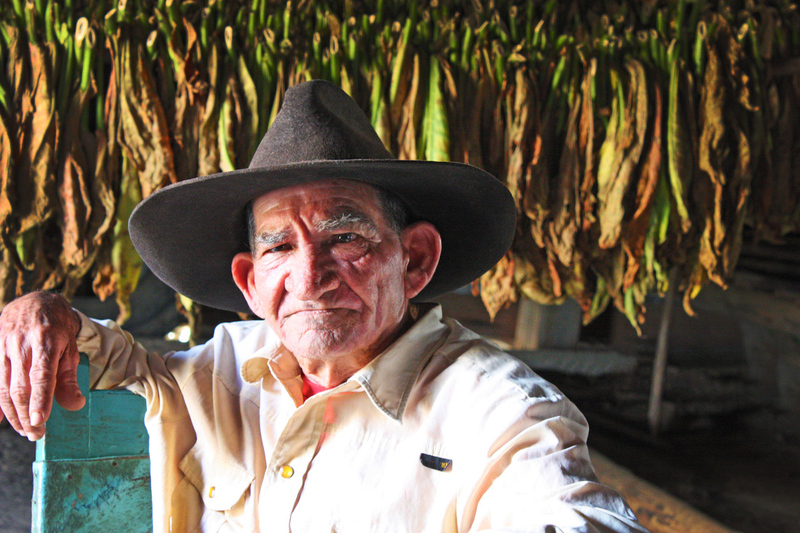 The remaining 10% of the tobacco is left with the farmer to use as they please. 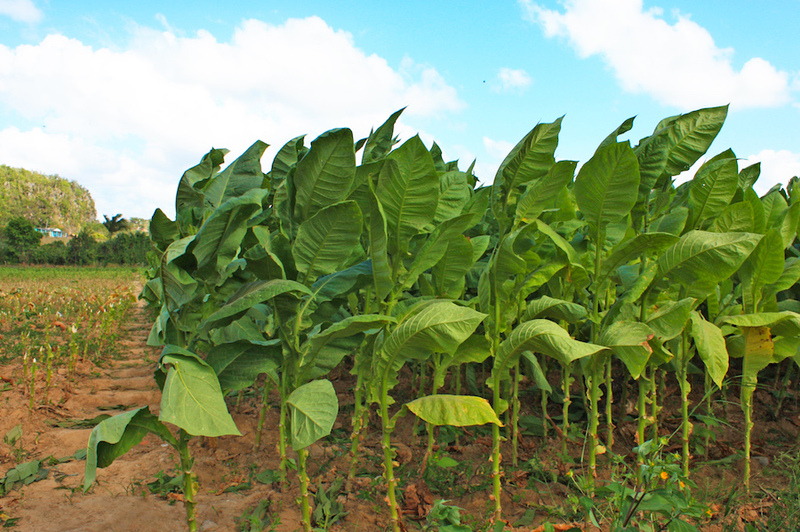 The farmers keep the best leaves, which is the highest quality tobacco. 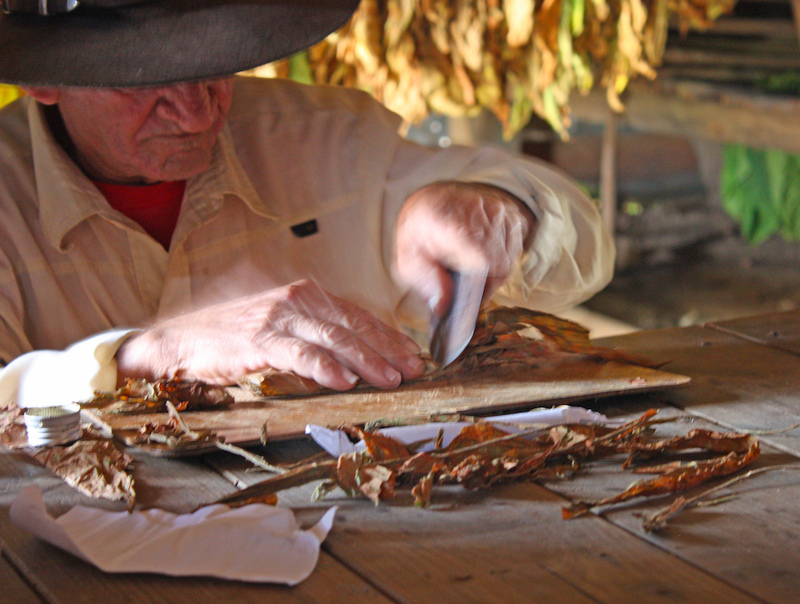 Elderly locals sit in dark barns, hand cutting and hand rolling the most sought after cigars in Cuba. 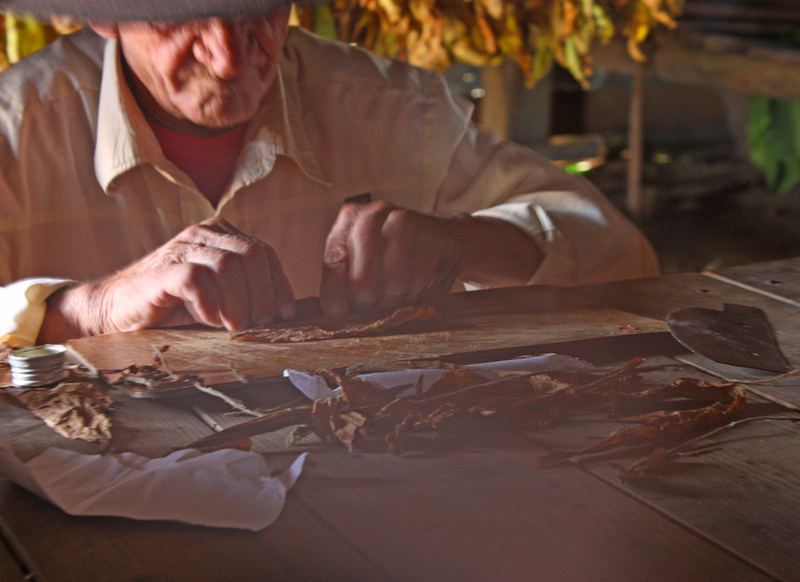 Only a few select people have the patience and the knowledge to create the perfect cigar. 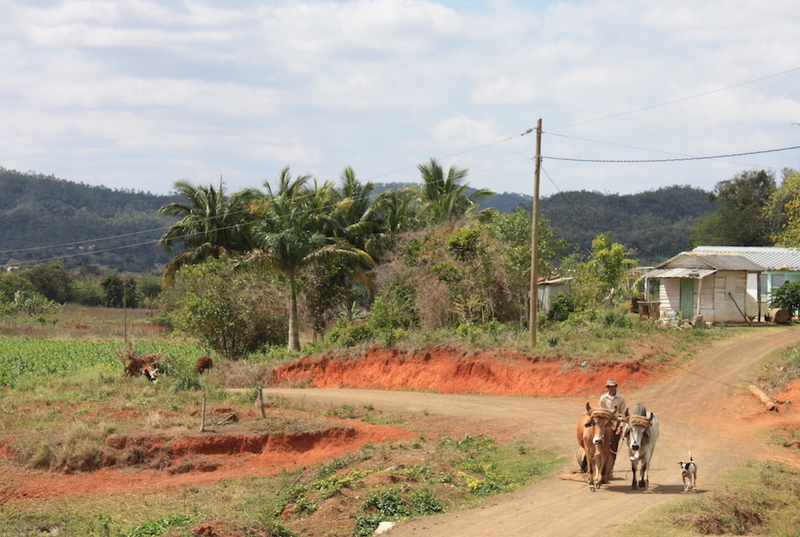 During your walk through Viñales, you are likely to wander onto a local farm, you’ll most likely be invited inside to try a cigar or take a tour of the process. 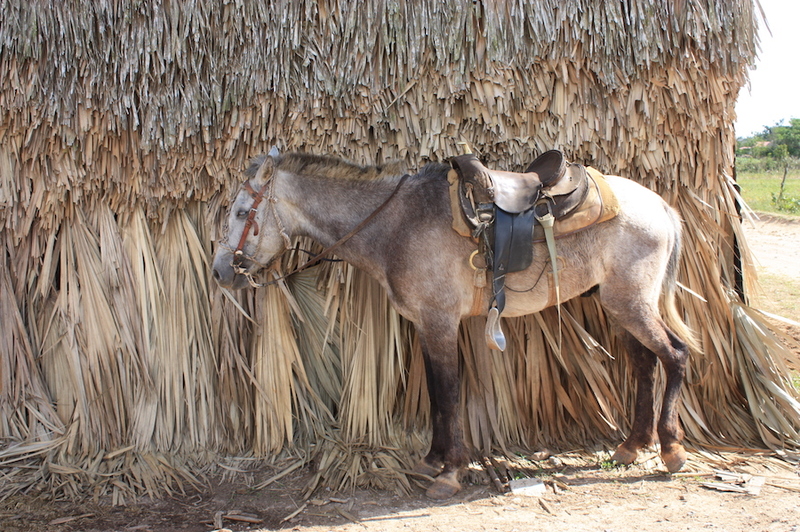 There is always the option of exchanging money for some of the elusive and private cigars. 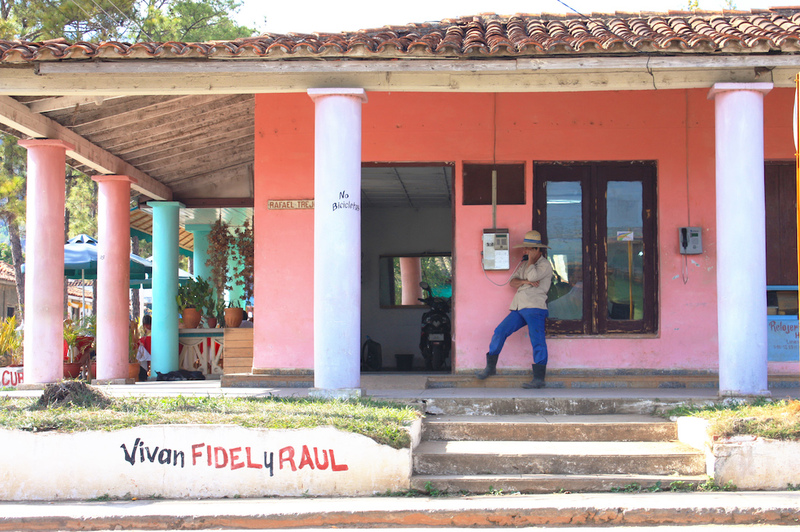 Since farmers aren’t legally allowed to sell their tobacco, you can tip for the tour and the generous farmers will provide you with a few souvenirs. The best way to see these local farms is on foot. 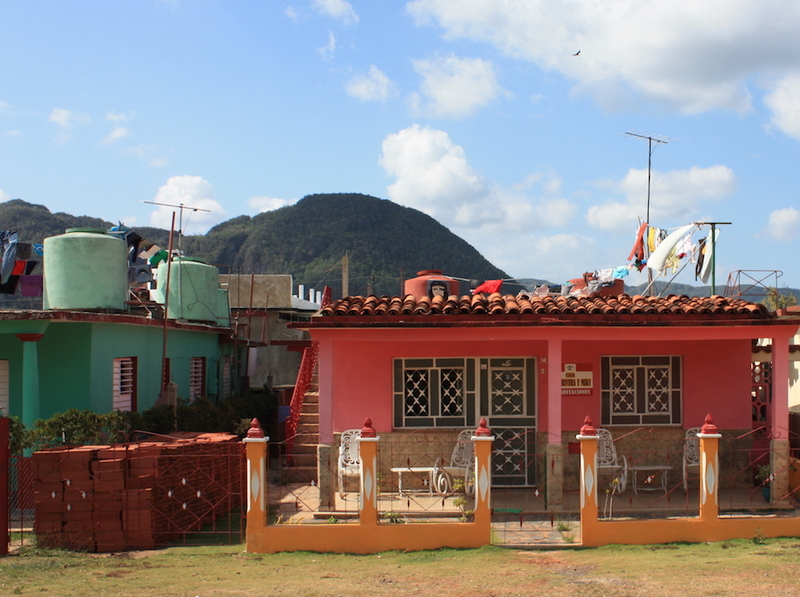 While the landscapes are overwhelmingly green and brown, the city of Viñales is remarkably colorful. The buildings are all coated in faded and pastel colors. The cars, pulling from a more retro palette, can be seen in every color imaginable. It’s rare to see something that is black or white here. 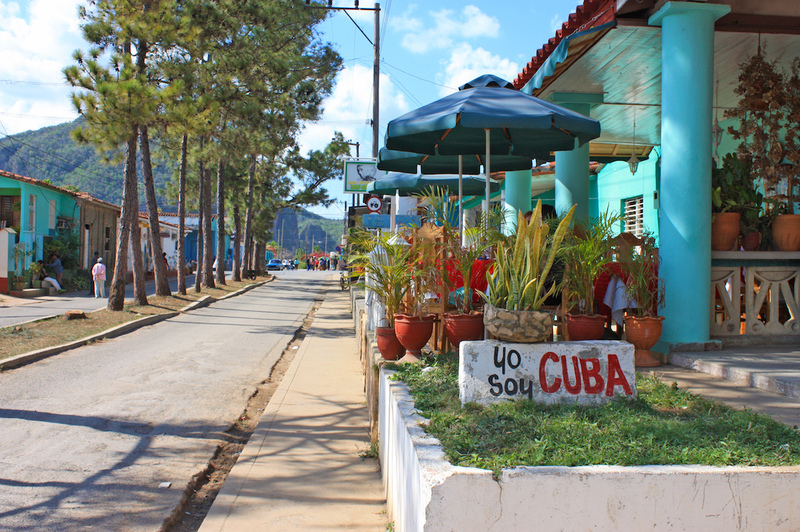 Keep an eye out for the subtleties that make Viñales unique. 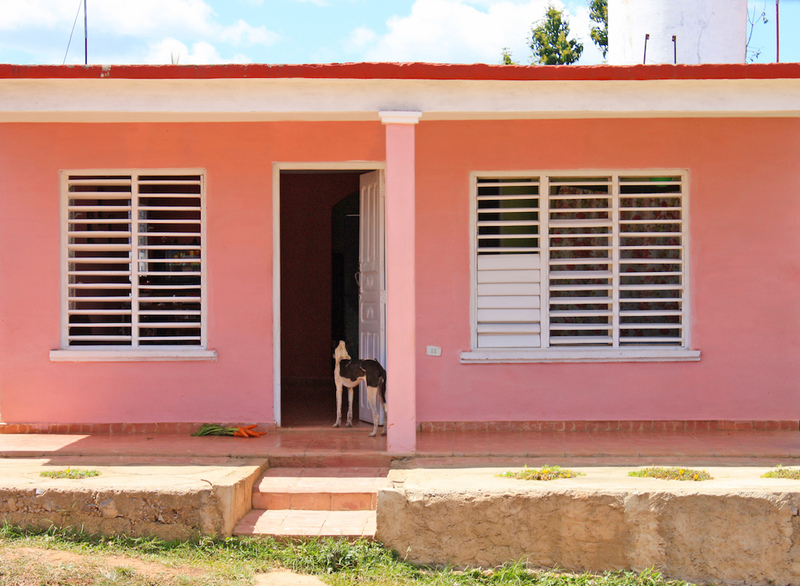 Most locals leave their front doors wide open, stray dogs stroll the streets, pigs and donkeys can be found roaming around behind houses, and a random bunch of carrots can be seen lying on a front porch. 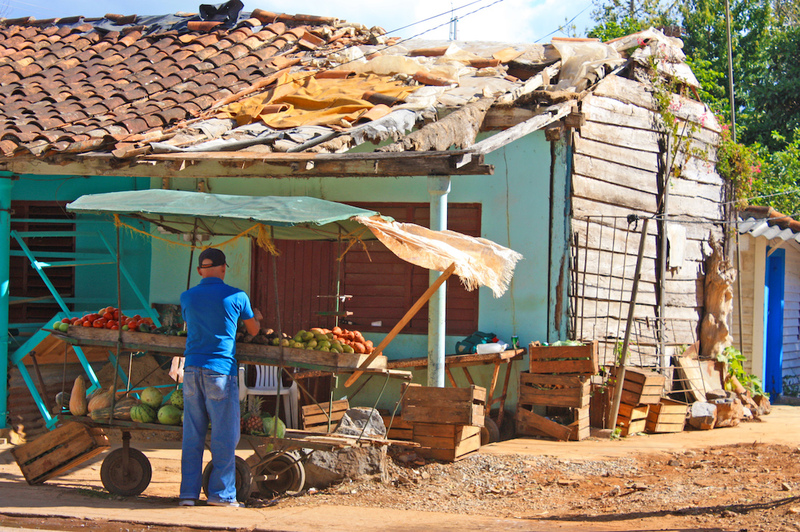 Food is rationed in Cuba and grocery stores are fairly nonexistent. 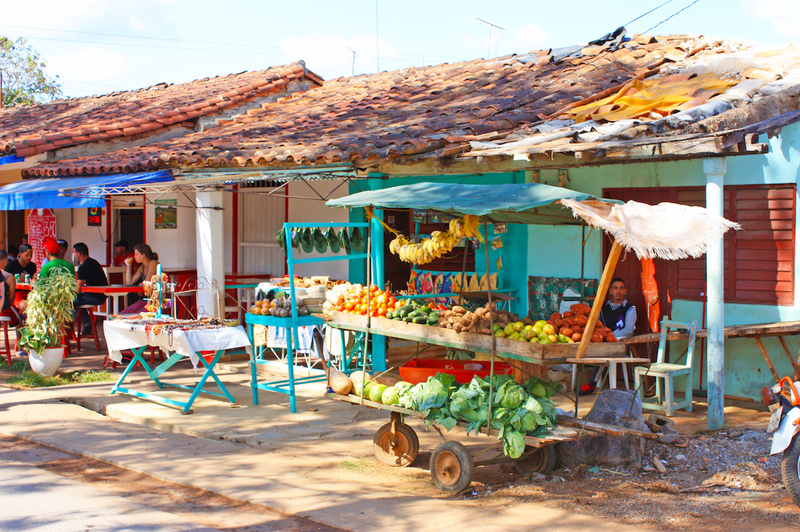 There are local panaderias that serve the allotted amount of bread, and markets that offer rice, milk, and eggs. 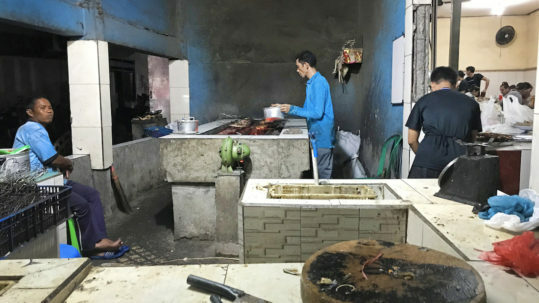 Small butcher shops offer cuts of chicken and pork. Beef is nearly impossible to come across and most food, including their processed chicken, is actually imported from China. 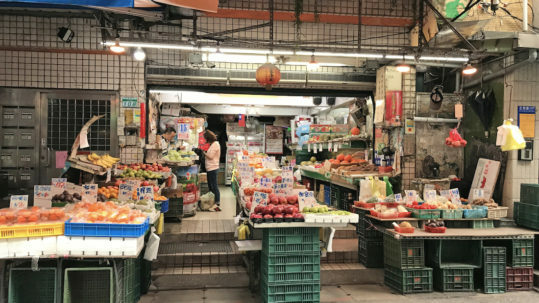 When it comes to fruits and vegetables, small carts are setup along city streets offering a rotating selection of whatever is fresh. 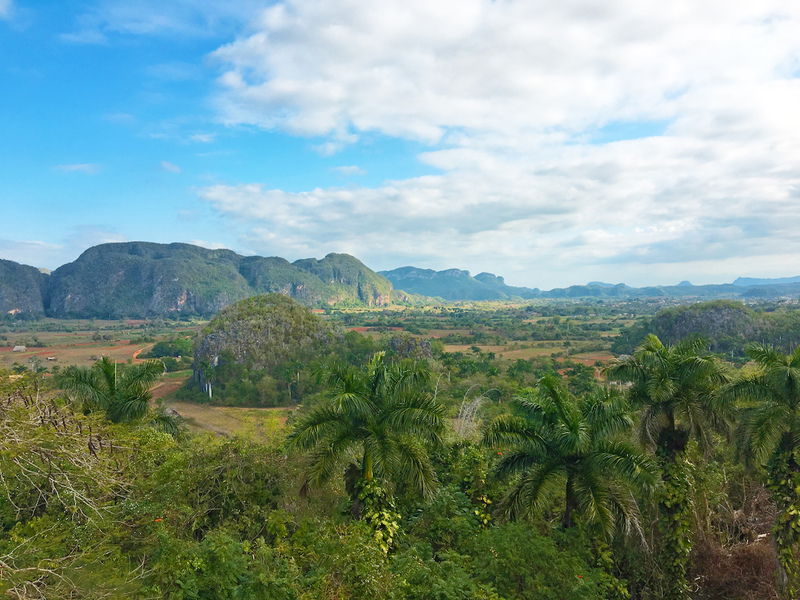 While most people are drawn to Viñales for the cigars or the scenic overlooks, they are forced to admire the culture and fall in love with the locals. 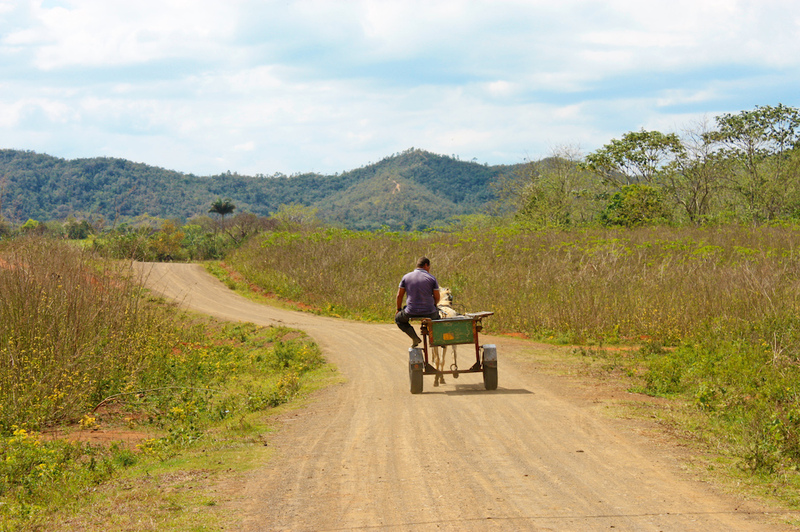 The lack of traditional infrastructure means locals must source their own water from stationary tanks, trucks or cisterns. 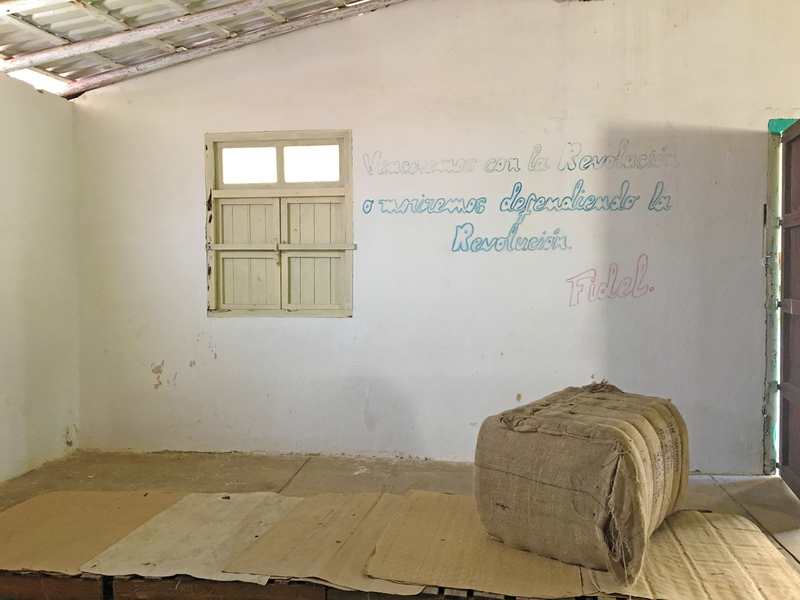 Laundry must be done by hand and each house has clotheslines strung from the roof. Many homes have an unfinished set of cement stairs leading up to a flat roof that is perfect for peaceful breakfasts or watching the sunset. While some comforts of home will be missed here, you’ll quickly learn to appreciate the unique setting and a way of life that is much more relaxed than what we are used to. 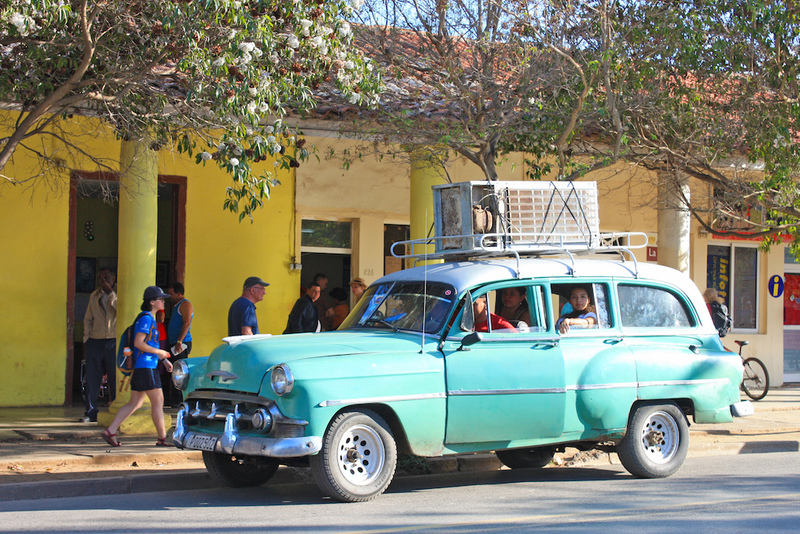 Read : How to Travel to Cuba as an American. Wow. 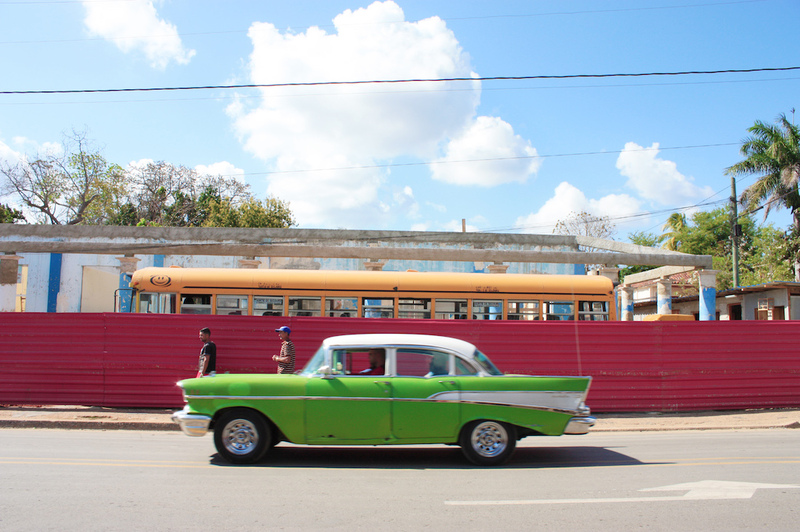 Makes me want to jump on a plane to Cuba right now. Great description. Beautiful pics. Absolutely breathtaking! 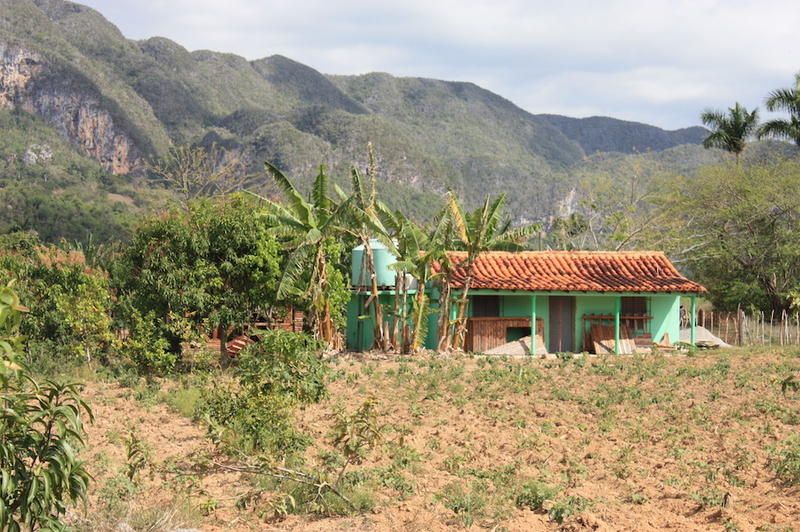 I never knew Cuba was so beautiful. Thanks for sharing! Wonderful blog on our little town!! 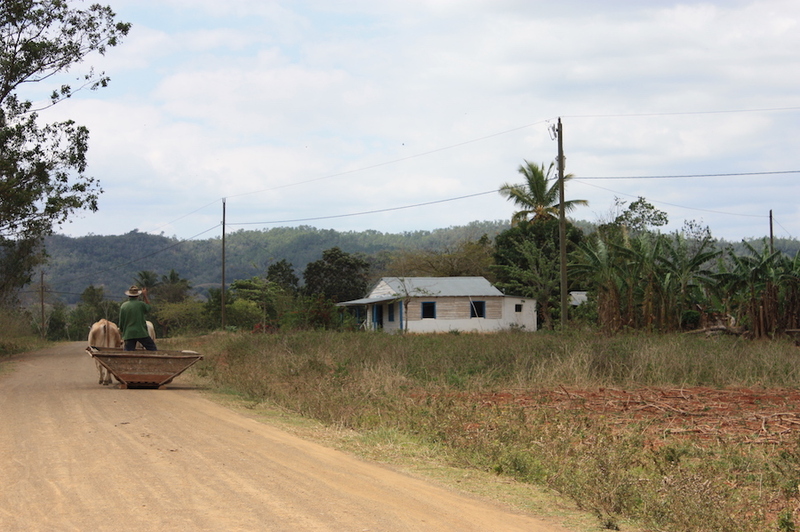 I especially love the photo of the sleeping farmer’s legs poking out onto the road!! 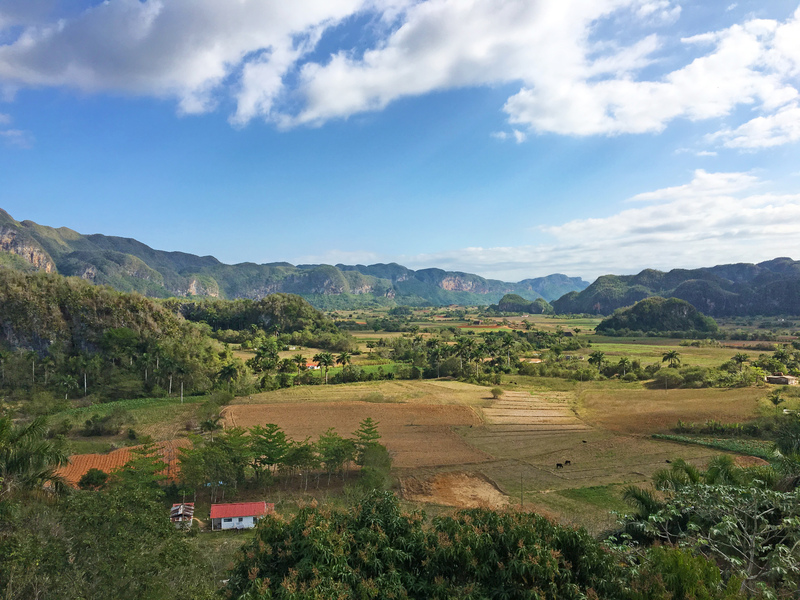 It looks like you had fun in Vinales and really appreciated it for what it is – if you ever come back, look us up! !